ATLANTA, Ga. (March 29, 2010) – Rice at Moe’s Southwest Grill just got a whole lot more interesting. 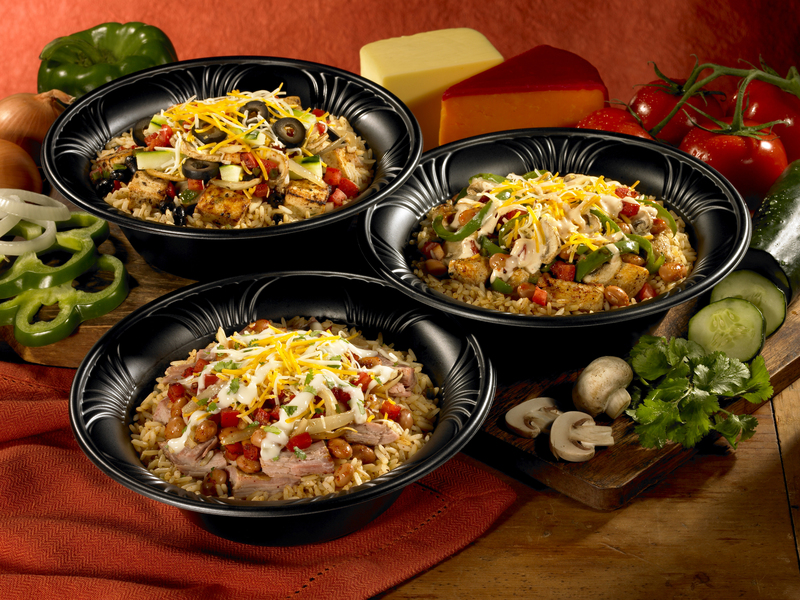 For a limited time, guests can enjoy Moe’s fresh ingredients without the tortilla in one of three new Rice Bowls. Pulled Pork Rice Bowl – Rice covered with pinto beans, grilled onions, handmade pico de gallo, shredded cheese, fresh cilantro and topped with slow cooked pulled pork and Moe’s famous queso. Grilled Chicken Rice Bowl – Rice covered with pinto beans, grilled peppers and mushrooms, handmade pico de gallo, shredded cheese and topped with grilled chicken and Moe’s chipotle ranch dressing. Tofu Rice Bowl – Rice covered with black beans, grilled onions and mushrooms, handmade pico de gallo, shredded cheeses, black olives, fresh cucumber and topped with seasoned tofu. Rice Bowls join burritos, quesadillas, nachos, salads, tacos and fajitas to become a new category at Moe’s for a limited time. Moe’s has over 400 locations in 34 states where guests can try all three Rice Bowls from now until June 13. ATLANTA, GA (November 19, 2009) – Just in time for the holidays, Moe’s Chicken Club burrito and quesadilla return to the menu, and this time they are joined by new Chicken Club Nachos. Since making its debut in 2007 as the company’s first ever limited time offer, the Chicken Club Quesadilla has been the best selling seasonal offer ever introduced. This year, the burrito and nachos of the same name plan to give the quesdilla a run for its money. 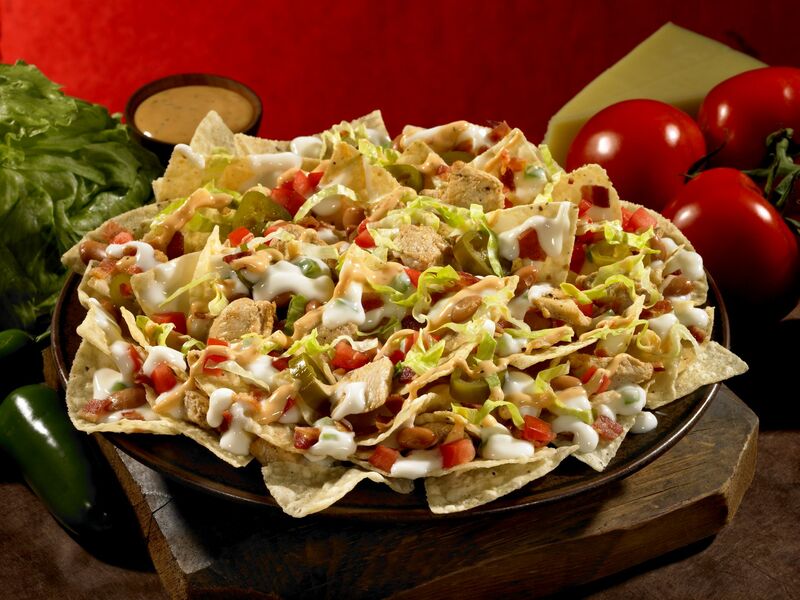 Whether you prefer fresh southwest ingredients rolled in a tortilla, grilled quesadilla style, or over warm tortilla chips and hot queso, the Chicken Club comes with rice, beans, grilled chicken, shredded cheese, diced tomatoes, crispy bacon, shredded lettuce and a drizzle of cool chipotle ranch dressing and is served with free chips and salsa. The Chicken Club burrito, quesadilla and nachos are available at all 410 locations nationwide until December 31. And like all Moe’s burritos, the Chicken Club is also being offered in the new Junior size. Running concurrently with the Chicken Club promotion, is a holiday gift card special. Guests who purchase a Moe’s gift card for 25 dollars or more will get five dollars in Moe Bucks for themselves.